LONDON, England -- With little more than a month to go before the European Union is due to sign trade and association agreements with four former Soviet nations, Europe’s leaders face an impossible dilemma over Ukraine. The EU can sign the deal at a ceremony in the Lithuanian capital of Vilnius on Nov. 28-29, allowing Ukraine to manipulate the rules and standards that define the union. Or its member countries can refuse and risk consigning Ukraine to a future under more authoritarian rule and deeper dependency upon Russia. Given the unpleasantness of that choice, it came as no surprise Oct. 21 when EU foreign ministers meeting to discuss the issue in Luxembourg gave no clear recommendation either way on what their governments would do. In immediate terms, the issue turns on the fate of former Ukrainian Prime Minister Yulia Tymoshenko. Her imprisonment most visibly symbolizes the selective justice that EU leaders said her country would need to overcome for the agreement to be signed, as well as for the associated Deep and Comprehensive Free Trade Area to come into effect. 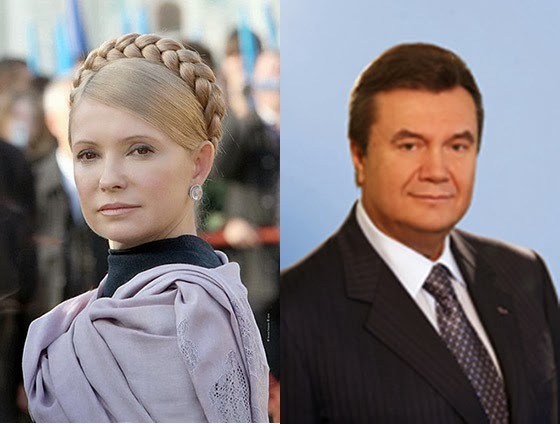 President Viktor Yanukovych refuses to pardon Tymoshenko, who was convicted in 2011 of abuse of office for her negotiation of a natural gas contract with Russia while she was prime minister. At the same time, the state has frozen two further cases it opened against her, and intricate efforts are under way to allow her to seek medical treatment under custody in Berlin while guaranteeing her exclusion from Ukrainian politics. There probably is no such guarantee that the EU could accept. Opinion polls suggest that if a free and fair election were held in Ukraine today, Yanukovych would probably lose, with or without Tymoshenko in the running. In 2015, when elections are due to be held, the risk is that Tymoshenko would prevail even in a rigged contest. For Yanukovych, the stakes involve not only losing power but also a turning of the tables and his own possible imprisonment for abuse of power. Tymoshenko, however, is only a stumbling block. The deeper issues are twofold. First, unless Ukraine changes the way the state and economy work, it could suffer hardship under the free-trade area and possibly damage the EU’s single market. This is why, in December 2012, the EU made the association conditional on progress in three areas -- justice, the electoral system and institutional reform (a polite euphemism for severing the link between politics, business and crime). The past few weeks have witnessed unprecedented activity in Ukraine to make the required changes to legislation. Several high-profile figures subjected to selective justice have been released from prison or had travel bans lifted. Nevertheless, perceptions persist that these efforts are for show and that Ukraine’s patrimonial system of power and rent-seeking remains firmly in place. So although, for example, the criminal code has been much improved, the interior ministry, the prosecutor’s office and tax service remain unreformed. Most personnel associated with the malpractice Ukraine has agreed to end remain in place. What does this say about the government’s intentions? Yanukovych did not create the link between politics, business and crime in Ukraine, but since his election in 2010, he has expanded the abuses of a predatory and deprofessionalized state that discourages entrepreneurship and embitters ordinary citizens. He views association with the EU as a political resource rather than a blueprint for change. If the EU signs the agreement with Ukraine, it will vindicate the tactics of a tenacious, uncooperative and unpopular government. It will also risk an anti-EU backlash in Ukraine as rules are applied selectively and the rigors of the free-trade area bite. If, however, the EU refuses to sign, it will forfeit any leverage it has and risk propelling Yanukovych into hard authoritarianism. Without Ukraine, the EU’s Eastern Partnership -- for which November’s trade and association agreements are the substance -- will probably atrophy. The initialing of the equivalent agreements with Moldova and Georgia might provide some compensation but probably not enough to arrest the trend. Armenia, the fourth country that was due to sign an association agreement, has already had a last-minute change of heart, under pressure from Russia. Russia is the second major issue for the EU. It has invested enormous political capital into a competing scheme of integration in its neighborhood, the Eurasian Customs Union, which it hopes to develop into a more politically integrated Eurasian Union. The EU’s Eastern Partnership, like the bloc itself, is a normative project built upon principles and practices. These are markedly different from the “civilizational” norms and “cultural code” that Russia wants to maintain in what it calls its sphere of privileged interests. Unlike an association with the EU, the Eurasian alternative does not require Ukraine to improve its standards of governance, reform its system of justice, strengthen property rights, or apply best practices to the relationship between business, consumers and the state. To date, only Russia, Kazakhstan and Belarus -- all authoritarian nations -- have joined the Eurasian Customs Union. The EU might express regrets if Ukraine and other Eastern Partnership countries were to opt freely for President Vladimir Putin’s vision, but it would not seriously object. But the EU has expressed concern that these countries are being coerced into making the choice. Yet this does not explain the leaking of an inventory of actions that Russia has contemplated taking against Ukraine should it sign up with the EU, its threat to withdraw security guarantees from Armenia, the brutal choices put to Moldova over energy and migrant workers, or the raft of trade blockages on unsubstantiated sanitary grounds taken against these countries in recent months. Russia’s choices are much clearer than those facing the EU’s leaders. If Ukraine enters the EU’s normative space, Putin’s effort to build what he calls a “distinctive” civilizational model to the EU’s rule-based one will be moribund. Russia is determined not to let this happen and, thanks to Ukraine’s self-inflicted infirmities, sees little chance that it will, whether it signs the EU’s Association Agreement next month or not. Vilnius will not be the end of this story.